The beginning of October is full of flux, with two seasons clashing and entire ecosystems changing to prepare for the season to come. Highly volatile times can deliver terrific birding. Or terrible birding. How was yours? Corey’s Best Bird of the Weekend was not a wind-blown seabird like he was hoping. 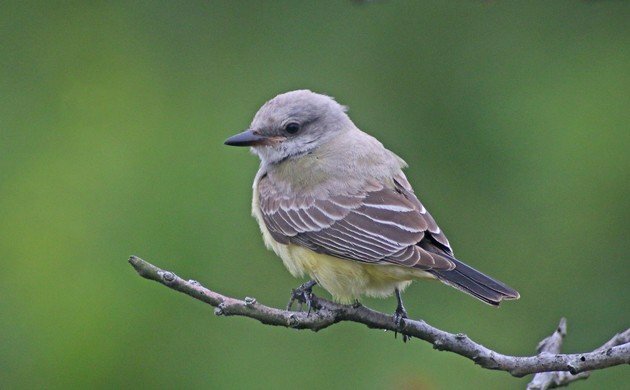 Instead, he had to settle for a wind-blown flycatcher, his second Western Kingbird ever in Queens which, like the first, was at Edgemere Landfill in the Rockaways. My best bird was simply a Black-capped Chickadee visiting my replenished feeders; I look forward to toughing out the winter with these adaptable birds. Sky – Call – Dot: a Red-throated Pipit migrating high above Heidelberg, only noticed by its characteristic flight call. About a dozen Red-necked Grebes, some still with red necks, here on the Olympic Peninsula. Pretty sure that was an adult Bald Eagle flying over I-95 in Groton, CT yesterday. Here’s hoping it’s a harbinger of good things to come! A California Quail near Penticton, BC. I had forgotten that California Quail live in the area, but of course they do and they are easy to find, and it was a new species for my year list. Red-throated Pipit at Pilning Wetlands on the River Severn in England. Skulking in the tussocky grass but did give some reasonable views for this life bird. Not bad for my first trip out after nearly three months of dealing with 2 family bereavements. Where Are You Birding This Second Weekend of February 2014?